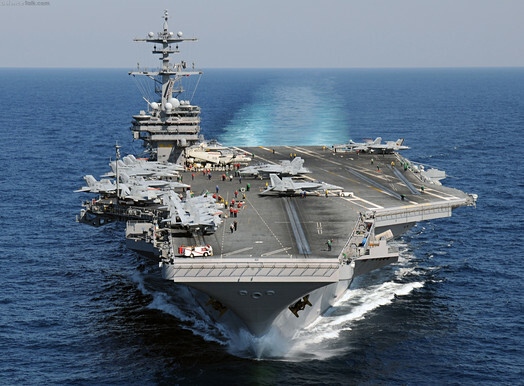 The USS George H.W. Bush arrived Wednesday, Nov. 23, in the wake of the three Russian warships anchored earlier opposite Tartus which established a command post in the Syrian port. They will be augmented by Russia’s only air carrier the Admiral Kuznetsov, which is due in mid-week. By deploying 70 ship-borne fighter-bombers plus three heavy guided missile cruisers and five guided missile destroyers opposite Syria, Washington has laid down military support for any intervention the Arab League in conjunction with Turkey may decide on. Bashar Assad can see for himself that Washington has hoisted a nuclear aerial umbrella to protect its allies, Israel, Turkey, and Jordan, against the retaliation his armed forces high command pledged Friday for the deaths of six Syrian air force elite pilots in an ambush Thursday. For some time, Ankara has been weighing the creation of a protected haven for rebels and refugees inside Syria. France has proposed slicing “humanitarian corridors” through Syria for them to flee safely from military tank and gunfire and secure supply of food, medicines and other essential supplies to the cities under army siege. Both plans would depend on being safeguarded by substantial ground and air strength inside Syria which would certainly face fierce resistance from Assad’s military. The Arab League has scheduled weekend meetings to decide how to proceed after Damascus ignored its Friday deadline for accepting hundreds of monitors. Saturday, Nov. 26, AL finance ministers will discuss economic sanctions. In the past 48 hours, at least 70 people were reported killed as the Syrian army continued its crackdown in the face of spreading armed opposition. The Syrian crisis is therefore building up to a superpower face-off unparalleled since the Cold War between America and the Soviet Union ended in the nineties, debkafile’s military sources note. While Washington clearly stands ready to back operations against the Assad regime, Moscow is drawing a red line around his presidential palace in Damascus. The Kremlin is warning the US, NATO and the Arab League that they will not be allowed to repeat their feat in Libya of overthrowing Muammar Qaddafi against Assad. In the face of this escalating big power standoff and the high possibility of the Syrian ruler deciding to lash out against his country’s neighbors, the Israeli, Jordanian and Turkey armies have declared a high state of war preparedness. WW III is starting in earnest. What a mess. Pakistan, Iraq, Afghanistan, Bahrain, Yemen, Libya, Somalia now Syria. Is the world at war with the religion of ” Peace?” Will Russia and the West face off in the region?